It’s never fun getting sick in general, but it’s even worse when you get sick while traveling. Time changes, sitting on flights for too long, contaminated surfaces, and being in close proximity to others who sick are just a few of the many factors present while traveling that can take a toll on your immune system. 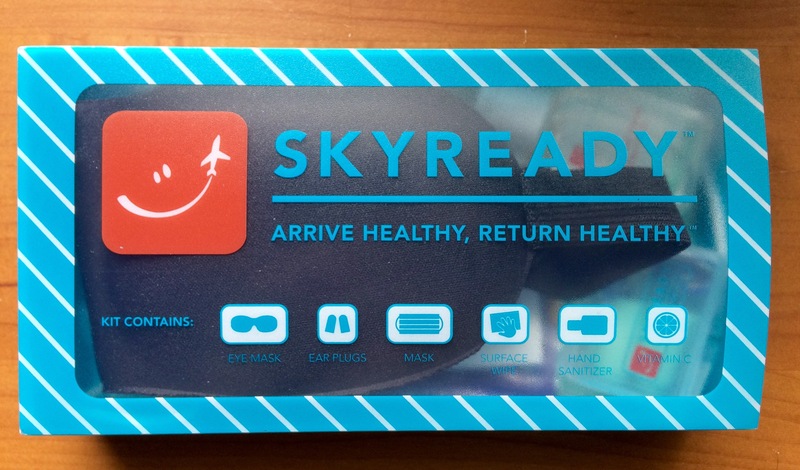 Emergency room nurse Rachelle Michelon noticed how many people get sick from flying, so she created the SkyReady kit to help combat viruses and infections to help you stay healthy while flying and after you arrive at your destination. When flying, healthy travel can be especially important because of the increased risk of illness and airborne infections on a plane. Whether you are traveling for business, vacation, or visiting family and friends, a SkyReady kit will be your perfect flying companion! Your kit contains an eye mask, ear plugs, a face mask, a surface wipe, hand sanitizer, and vitamin C. These essentials can help you avoid illnesses and infections while flying to help you enjoy your travels even more! The adorable box the kit comes in is a great way to keep everything you need for a healthy flight all in one place if you have the room, but even if you’re trying to pack light you can easily fit the contents of the kit without sacrificing much space. 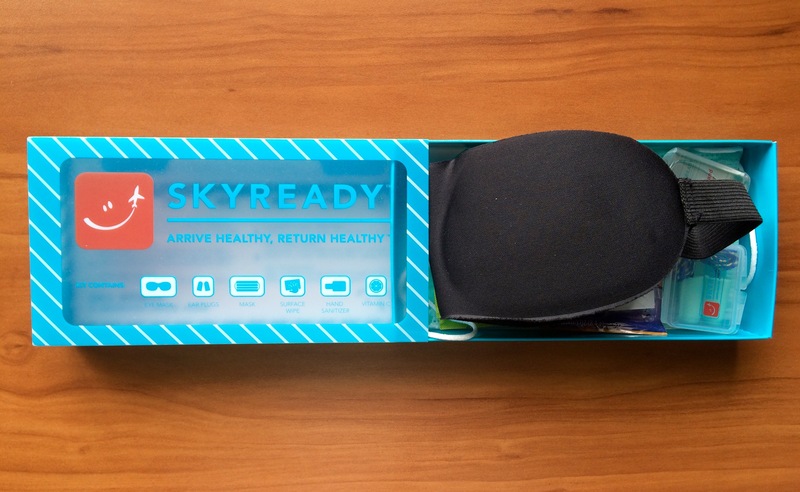 Currently, there is nothing else like it on the market, and traveling prepared with a SkyReady kit can help you to not only stay healthy while flying, but to also enjoy your travels even more because you’ll be much less likely to have fallen ill from your flight. Don’t postpone trips because of flu or cold season, or any busy travel season. Treat yourself with one for your next trip, or it also makes a great gift for the frequent travelers in your life! You can purchase your SkyReady kit on Amazon or from other online retailers, and it is also sold in a variety of airports and stores around North America. The kit costs $14.99, and you can buy yours from one of these retailers. I love how easy it is for me to just slip the kit in my bag, and I can rest assured that I can help avoid getting sick while flying by simply taking a few extra precautions! Many thanks to SkyReady for providing me with a kit for review. As always, all opinions and photos are my own. If you have any questions about the companies or products mentioned on this page, please reach out to me and I will happily answer them.